Innova Products Limited is a global company that has built its reputation on innovative design and quality products across a wide range of kitchenware, and beverageware products. Innova's history of providing high quality, innovative products to our global customers is well documented over many years and supported by strong brands successfully enduring the test of time. ClickClack kitchenware: Is now a household name with its unique airtight diaphragm sealing technology, durability and stylish design. All ClickClack products are BPA free and available in a fresh range of on-trend colours to complement any kitchen. 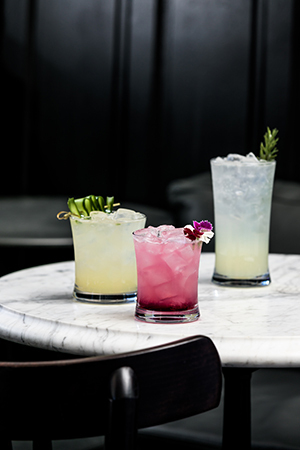 Strahl beverageware: Is renowned for combining the strength of polycarbonate with the elegant look and feel of glass and has achieved a unique place in the market, both in the home and in the hospitality industry and is now considered the worlds best alternative to glass. All our products are produced in two state of the art facilities, both of which are ISO accredited. This is carried out under the close supervision of our own quality control team to ensure the highest standards are met. Our management, research, marketing, design & development teams remain firmly based in New Zealand. Innova is committed to its customers and to this end is investing significantly in consumer research to ensure new products meet the changing needs of our customers, and is structuring the company to enhance relationships with both retailers and trade, reflecting our commitment to customers and innovation. © Copyright 2019 Innova Products Ltd. All Rights Reserved.